A new LA City Council measure targets "bad apple" gun dealers. 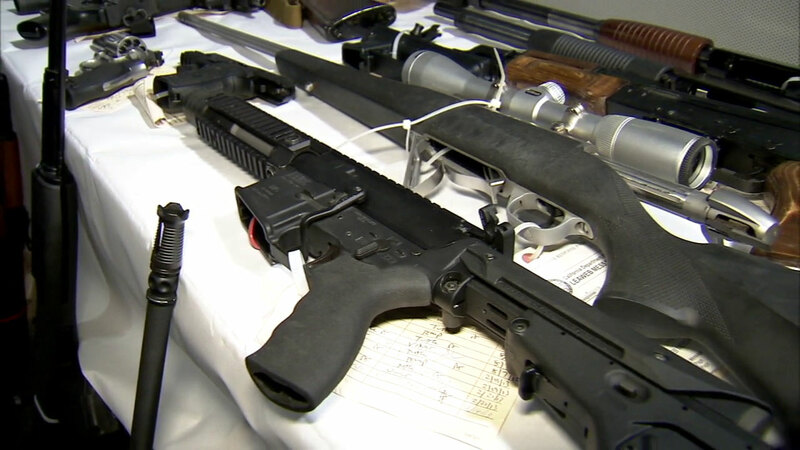 LOS ANGELES (KABC) -- As police officers swarmed UCLA's campus on Wednesday, the Los Angeles City Council approved a measure to help city leaders identify "bad apple" gun dealers. Those are the gun sellers who have the highest frequency of guns sold that are later used in crimes. The council voted 13-0 to have the LAPD work with the organization Crime Gun Solutions. Together they will analyze crime data and work to trace guns used in crimes back to the original dealers. The meaning of the action was reinforced when, as the council was waiting to vote on the issue, Council President Herb Wesson informed the audience of the shooting at UCLA. Chicago initiated a similar program in 2014 and found that just four gun dealers sold the majority of guns used in local crimes. The vote and the shooting at UCLA happened the day before the second annual National Gun Violence Awareness Day. A new national campaign urges people to wear orange on June 2 to show support for efforts to reduce violence. The color was chosen to reflect what hunters wear in the woods to protect themselves.